Color matching aids in manufacturing. When it comes to creating products for the masses, it’s important that every little detail and piece of the puzzle that is your product works together seamlessly. These details may seem small, but in a world with several companies competing for business and loyal customers, the details are what set you apart. At Volt Industrial Plastics, we understand this major component of business. This is why we strive to offer only the best products by using state-of-the-art manufacturing and services such as color matching. Wondering how your products can stand out? Here are a few reasons why color matching your products matters. There is no doubt about it. Branding is an important component of any company’s success. When it comes to branding your company, there are a lot of things to think about in terms of what you want people to see and how they identify with your company. Color is one of the main factors in creating any brand. Not only does it help your customers identify your products and your company, but color has also been linked to how people feel towards a brand. At Volt Industrial Plastics, we have experience working one-on-one with companies to provide color-matched, non-metallic fasteners to help your brand stand out. 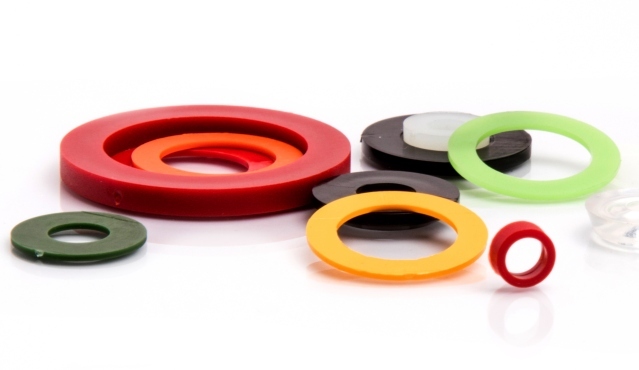 Whether it’s an end cap or hole plug that needs to match the exterior of a refrigerator or an exterior bushing that needs to match your logo, we will work with you to provide the parts you need. In addition to helping create a brand that stands out, adding color or color matching fasteners can also aid in manufacturing. Since most of our fasteners are small in size, making your fasteners bright and colorful is a great way to find them if they fall or move out of place. 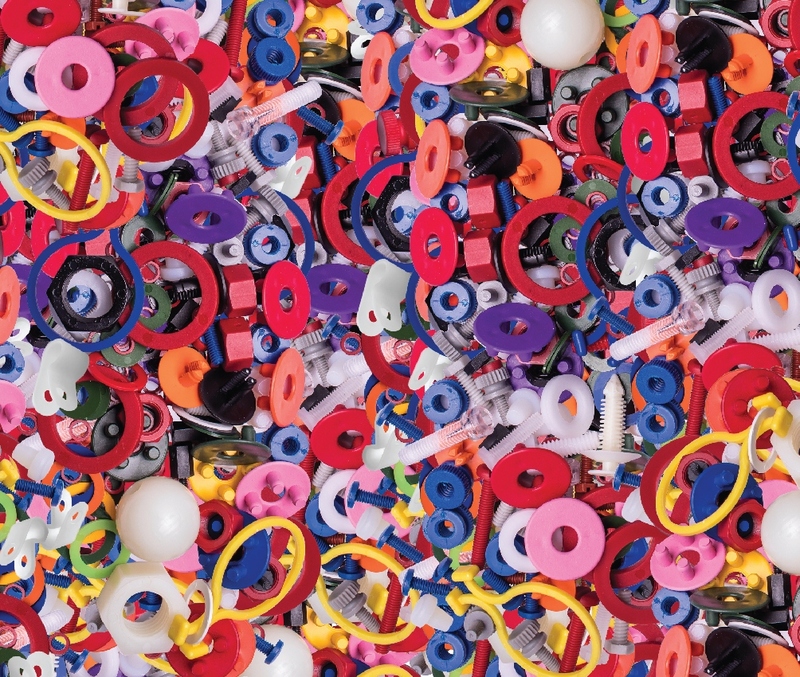 Since most components are black, white, or gray, adding in colorful fasteners can also make it easy to identify what has been done, or mistakenly not done, during the manufacturing process. You can also take color matching one step further by using it to organize parts. Since there are so many different materials, using color is a great way to distinguish fasteners of different materials. Color can also be used to separate the type and use of the fastener or identify any red flags for safety. Color matching products to fasteners can also help in the overall cosmetic look of a product. White and black fasteners are okay, but sometimes you may not want them to stand out. By color-matching fasteners such as screws, studs, rivets, and bushings, you are able to have these fasteners blend into the overall design. Several companies like to color match to the material they are binding together or color match caps and plugs to hide the appearance of the fastener. There are so many ways to use color and color matching when it comes to fasteners. Branding, safety, organizing, and adding cosmetic appeal are just a few of the reasons why many companies are choosing to go one step further when selecting specific fasteners for their projects. At Volt Industrial Plastics, we have the skills, expertise, and manufacturing capabilities to bring you only the best products. With over 120 different materials to choose from, we also have confidence that we can help you find just what you are looking for. Color matching is just one of our many manufacturing capabilities. We can also make your fasteners glow in the dark, have a certain texture, and even give off a pleasant scent. Have questions? At Volt, we strive to offer only the best in customer service. In fact, when you call Volt, you will always talk to a person. Let us help you find the fasteners you need in order to complete those future jobs and projects.